Gorgeous striped dress that fits like a dream. With a built in skirt, this halter neck dress has a longer flowing skirt at the back and just looks so flattering on. This really does draw in the waist, whilst the wrap over front is flattering on the tummy. 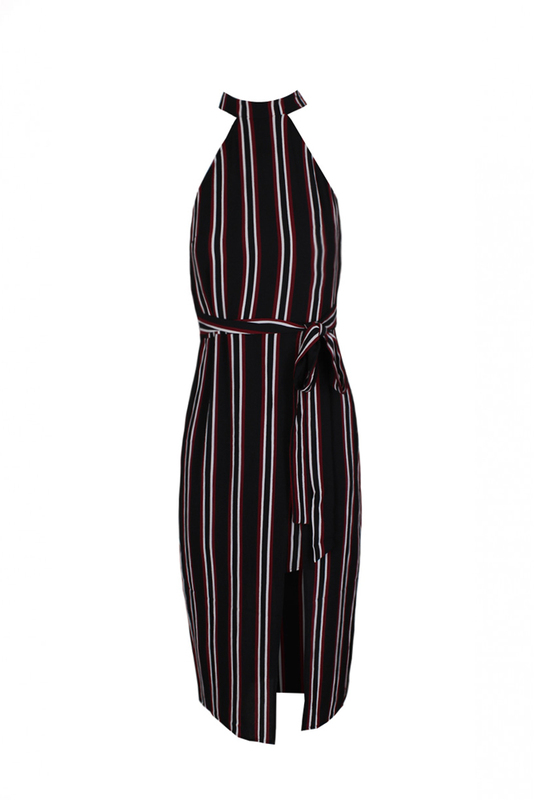 Wear this with flats for daytime or dress up with heels for a chic night time look.